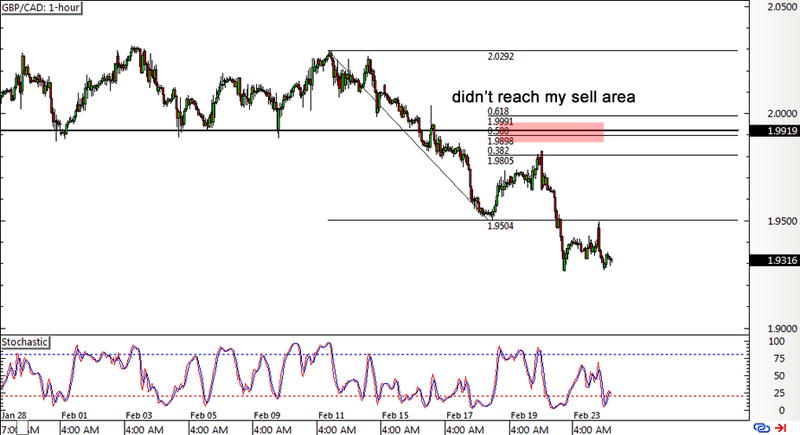 EUR/GBP rallied and GBP/CAD sold off as I expected but, unfortunately, I wasn’t able to catch those moves! Here’s why. 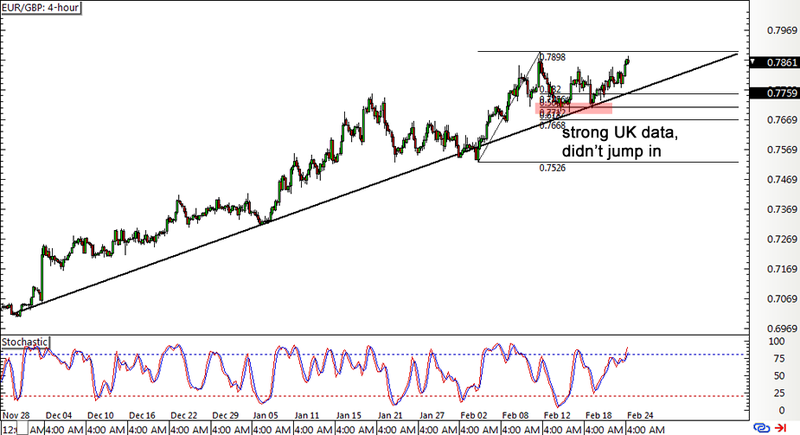 I was watching this long-term rising trend line on EUR/GBP’s 4-hour forex chart, waiting for a chance to jump in the rally on a pullback to the Fib levels. As I mentioned in my earlier trade update, I planned on going long around the .7700 major psychological level only if U.K. data came in weaker than expected. However, the U.K. CPI and jobs reports printed mixed readings so I thought it best to just sit on my hands. In hindsight, I probably should’ve taken a small position just to play the Brexit headlines which were also dampening demand for the pound back then. Speaking of Brexit concerns, I was also eyeing another short pound setup late last week just before U.K. Prime Minister David Cameron announced the EU draft deal. I didn’t want to leave any entry orders open over the weekend, though, but it turns out I already missed my chance to short when the resistance at 1.9800 held. I wanted to short right on the 50% Fib and broken support level closer to the 1.9900 major psychological mark, but GBP/CAD didn’t retrace this high since reports on London major Boris Johnson supporting the idea of a Brexit triggered a sharp selloff on Monday. All in all, I’m a bit disappointed that I wasn’t able to catch these quick moves but I’m still gonna give myself a pat on the back for getting the direction right this time. You see, I’ve been doubting my forex trade ideas lately since I’ve gotten a few hits on my account so I could definitely use a confidence boost. Got any forex setups on the crosses that you think I should be looking at?